It's been 3 years since Netherrealm, the studio behind the ever so popular Mortal Kombat, released Injustice: Gods Among Us. 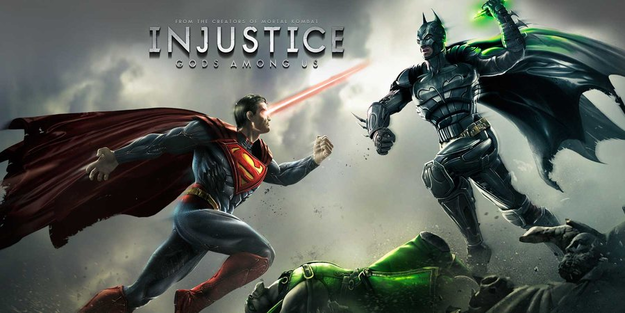 The game that pitted various DC superheroes and villains against each other through the use of a solid fighting game, all while attempting to stay true to its source material. The game was generally well received by critics and players alike, and a sequel has certainly been desired by fans of it. Rumors regarding a sequel have been shifting around for some time and have come full circle just recently with a new report from a French source. This French source, that goes by the name of Gameblog.fr, cites a source that is allegedly familiar with the respective project involved. The source had a small amount of information to provide regarding this sequel, but it's enticing to fans of the game and comic series, regardless. This information includes reveal window, engine being used, platforms to be supported, and an apparent release window as well. This Injustice sequel will apparently be revealed at or before E3, which is just around the corner now. There's no word as to what will or will not be shown, though, at this time. In regards to the engine being used, it will be the same one used in the recent Mortal Kombat X, which will certainly be something to see provided how fluid and quality of a fighting game that is. I'm certainly looking forward to seeing that. It will reportedly be launching on the typical, PC, PlayStation 4, and Xbox One. In terms of an apparent release window, the source has alluded to the game dropping in March of 2017. It should be noted that all of this information should be taken with a grain of salt, as there is no confirmation from the developer, nor any physical, substantial evidence. Regardless, E3 is just a few days away now really, and perhaps we will see a reveal of this, after all, this is the first that we've heard of this information being presented to us. Does the idea of an Injustice sequel tickle your fancy? Let us know below! ASAP SAVAGE, God, Scarecrow and 1 other person like this.